The European Summer School in Financial Mathematics aims at putting together the most talentuous young researchers in the field, starting from the very begining PhD students. The Scientific Committee consists of European leaders and representatives in financial mathematics. We warmly thank them for their encouragement and for accepting to be part of this committee. Their first and main task is to identify the most promising candidates. The successful candidates will be fully sponsored for their travel and living expenses during the summer school. 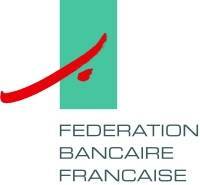 This project was made possible thanks to the generous support of the French Federation of Banks (Federation Bancaire Française) who kindly accepted to fully sponsor it. We gratefully acknowledge this help and we hope that this event will meet their satisfaction in terms of excellent training of european students in financial mathematics. The Summer School is centered around two advanced courses provided by worldwide recognized experts. The courses are chosen by the organizing committee and are meant to be changed every year. We are particularly keen on a good balance between the theoretical and the practical content. We welcome suggestion of topics to cover. Some seminars provided by the young participants will also be organized. We deliberately restricted this event to Europe because we hope that it will lead to an active collaboration between the various European institutions. We hope that this opportunity will open the door to the mobility of European students between different research centers. Our ambition is also to put the foundations for a more visible European network at the doctoral level in the field of financial mathematics.